As the holiday season draws near, gatherings and festivities become a focal point for many as we plan time together with our family and friends. But, for many of the children and families Thandanani supports, there is likely to be very little by way of celebration this festive season. Many of these children have experienced significant hardship and loss. Many have experienced the loss in their parents and most have experienced the hardship of a lack of income, shelter, food, and care following this loss. Similarly, many of the Caregivers of these children are elderly “Gogos” who now care for their orphaned grandchildren. Many struggle to provide for even the most basic needs of these children and few will have the means to spoil the children in their care this festive season. 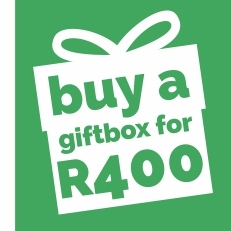 While these gifts will certainly bring a smile to the face of many children this festive season, Thandanani works throughout the year to support the emotional well-being of the children and Caregivers we work with. We do this through a number of different activities, including: Support Groups, Life-skill Programs, Memory Work, and Individual & Family Counselling. For more insight into this work we invite you to read a recent following article by Sharon Dell and view our emotional well-being video. After packing her grandchildren off to school, Busisiwe Dlamini* took a taxi from her home in Smero and travelled into the heart of Pietermaritzburg. After alighting in West Street, the 61-year-old grandmother slowly made her way up to the Langalibalele Street offices of Thandanani Children’s Foundation (TCF) where she asked to speak to “the manager”. At that time, the only person available was Richard Moodley, the financial manager, who duly presented himself at the front desk. Upon seeing him, Dlamini started to speak but quickly broke down and wept. It took some time to establish the reason for her visit: Dlamini wanted to thank the people at Thandanani for their help but was overwhelmed by gratitude and relief in doing so. 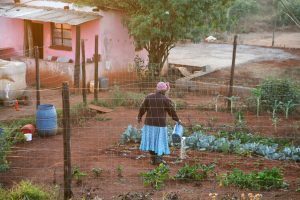 The stress facing South African caregivers – many of whom are poor and elderly – is a matter of public record but relatively limited public action. Last year’s report by the Centre for Social Development in Africa at the University of Johannesburg, Family contexts, child support grants and child well-being in South Africa, noted that lack of support to caregivers was eroding their ability to offer positive emotional care and identified a clear need among caregivers “for emotional care that is not being adequately managed by our society generally”. 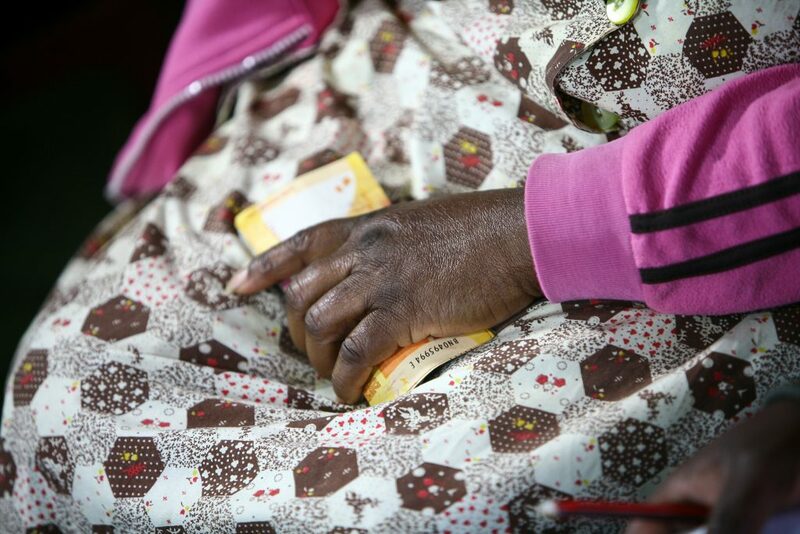 Dlamini, a widow of 24 years who suffers from heart problems and diabetes, says in the 14 years she’s been raising her three grandchildren, aged 7 to 14 years, she received no support from anyone. Before the TCF intervention, the children had been sent home from school because they didn’t have the correct uniform, food was scarce and life was miserable in the family’s six-roomed mud house overlooking the Edendale valley. Since being supported as a beneficiary of Thandanani’s Family Strengthening Programme (FSP), she describes a weight having been lifted off her shoulders. School uniforms have been supplied, the children’s progress at school is being monitored, there is access to emergency food parcels, and vegetables are growing in a fenced-off area in the yard. Dlamini herself is now a member of a 20-person self-help group focused on saving and income generation. More than material assistance, however, knowing someone else cares about the wellbeing of the family, has made an enormous difference. “It helps a lot to know someone else is there to help me with the raising of the children,” said Dlamini. 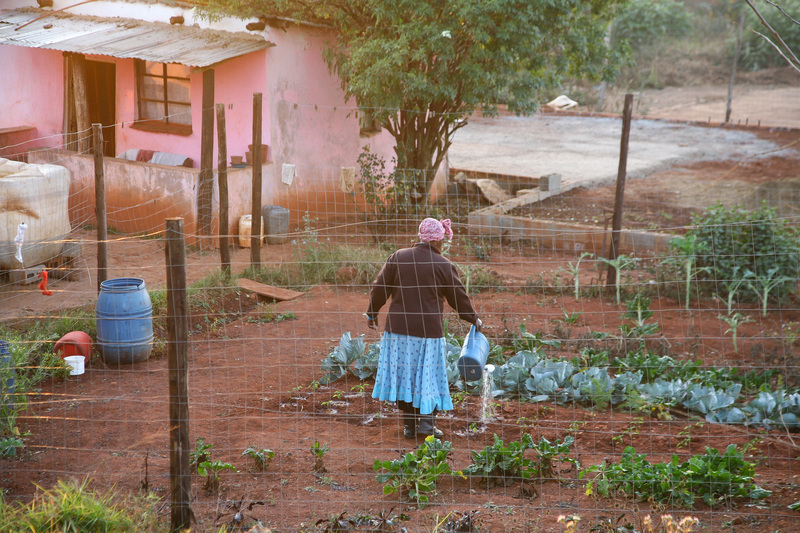 Research by Kidman and Thurman (2014) – Caregiver burden among adults caring for orphaned children in rural South Africa – points to household food security and economic vulnerability as the biggest contributors to what is termed “caregiver burden”, a concept which describes the negative impact of caregiving and includes several aspects of well-being including physical, social and psychological. The study notes that feelings of stress and inadequacy among caregivers, as well as anger towards the child, are common, pointing to the need for more interventions focused on emotional support and parenting skills. According to Thandanani’s FSP Facilitator, Agnes Mkhize, while raising orphaned children in impoverished circumstances has many challenges, one of the biggest is finding the emotional resources to cope with this extended burden of care. Especially if you are a Gogo (grandmother) who now has to care for your grandchildren after their parents have passed – as so many have in our country. Critical in this, is telling the children about the death of their parent and helping them understand where he or she ‘comes from’. “When I was a child nobody spoke about death to me. That was the norm at the time and still is to a large extent. If your mother dies, you are told only that she has ‘gone away’, with the implication that she will return at some stage”, said Mkhize. “Some of the children grow up thinking their aunt or sister is their mother”. 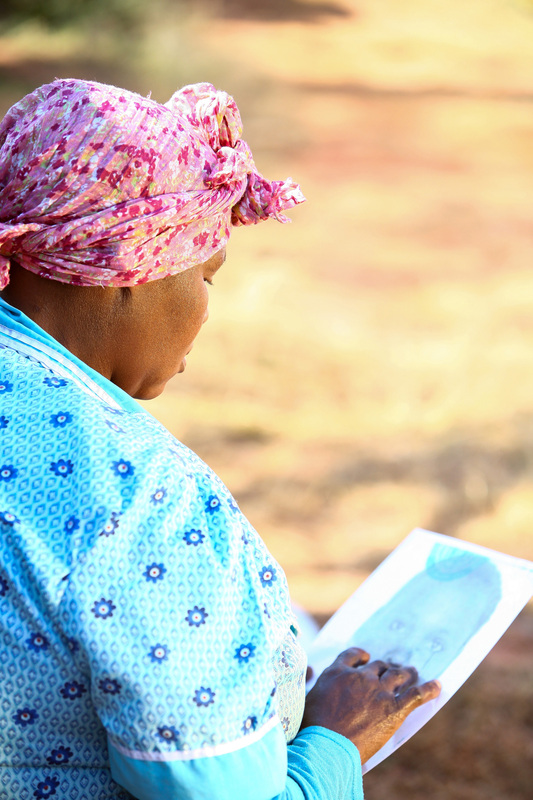 Through Thandanani’s caregiver support groups and memory box activities, caregivers are taught the importance of telling the children the truth about the loss of loved ones – and the organisation helps them actually do it. ““At the end of the day the truth will come out because neighbours or someone will talk, so it is best if it comes from the caregiver,” said Mkhize. She said caregivers often initially resist the idea of honesty but afterwards admit that it relieves them of an enormous burden. 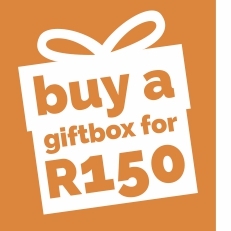 Memory Boxes are used by Thandanani to help families ‘tell their stories’. The box offers a physical repository for the collective storage by the family of mementos and items which represent and honour family members who have died. Importantly, it is also a platform for a broader psychological process involving the construction of a family tree and honest conversations around the family’s history and who fits in where. Thandanani also facilitates caregiver support groups which engage caregivers around common issues such as loss and the burden of care. Here they are also introduced to concepts such as “play for communication” which helps them build supportive relationships with the children in their care. The groups also form a social function, giving caregivers an opportunity to meet other people in similar circumstances and to share experiences. For children aged 7-10, Thandanani Fieldworkers run Children’s Groups, and Life-skill programmes for children over 11. Both programmes assist orphaned and vulnerable children to process their experiences, build resilience, and develop positive coping strategies and life-skills. Duncan Andrew, Thandanani’s director, says the importance of the support offered by Thandanani usually becomes evident after three years when the family, having been part of the programme, is again able to independently provide for their own basic needs. It is at this point, that caregivers often express the fact that, what they will miss the most is the regular visit from the Thandanani fieldworker. “This speaks to the value of having someone on which to lean on in times of hardship. Regular visits by local fieldworkers are key to helping vulnerable families, and particularly the caregivers in these families, feel more emotionally secure, less isolated and able to cope, he said. This, he said, was “the heart of Thandanani” – which literally means to “love one another”. 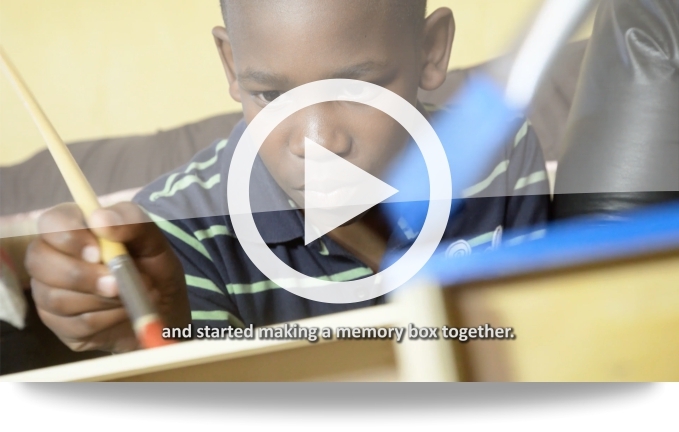 Click on the video link below to learn more about our Memory Work Programme. 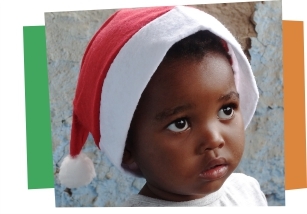 As the year comes to a close and the festive season draws near, we would like to take this opportunity to thank you – our loyal donors, champions and supporters – for your continued and generous support and wish you all a happy holiday and a fun-filled festive season with your family and friends! The Thandanani offices will be closed from the 14th of December until the 7th of January. 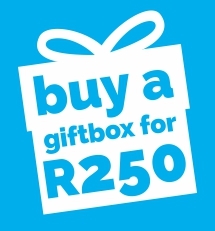 To support our on-going work with children, we invite you to visit our “Support Us” page which list a host of giving options for you to consider or simply click a giving option below.